Many people experience shyness or nervousness around people they don’t know or they may feel introverted and prefer not to be social. However, when fear and anxiety about social situations begins to become a problem and interferes with your life then it may be a sign of a deeper issue. Someone who finds themselves feeling panic or has an intense a need to avoid every day social situations may have social anxiety. Social anxiety is a type of anxiety disorder that can be very difficult to live with in its most severe forms. People with social anxiety have an increased risk for alcohol and drug abuse, depression, and loneliness along with decreased occupational advancement in many cases. It can be stressful for people with severe social anxiety to hold a job or keep close relationships because they become avoidant of situations that make them feel afraid. Someone with social anxiety have an overwhelming fear of being judged, negatively evaluated or rejected in social situations. They may experience physical symptoms when they are feeling anxious such as rapid heartbeat, nausea, sweating and even panic attacks. They might feel that the only way to deal with their intense anxiety is to stay away from certain social situations altogether. A socially anxious person may be able to recognize that their fear is excessive and unreasonable but they may feel powerless and unable to control their reactions. Unfortunately this debilitating illness is relatively prevalent as it is the second most commonly diagnosed anxiety disorder following a specific phobia. People typically develop social anxiety around their teenage years when they experience extreme shyness that escalates into severe symptoms. Even though social anxiety can feel overwhelming, it is possible for people with this problem to lead normal lives, hold down steady jobs and have close friends. 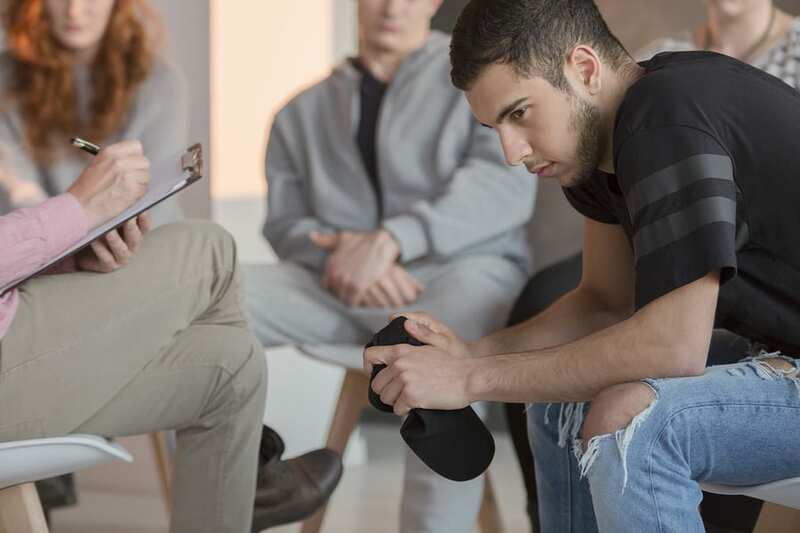 With the help of a cognitive behavioral therapist, someone with social anxiety can start to take steps to become adjusted to the situations that scare them the most. It can be a long process but eventually someone receiving treatment can minimize their anxiety until it is more manageable. One of the issues with social anxiety is that an individual begins to reinforce their behavior of avoidance over and over again. If they think about going to a party and start to feel anxious, they may decide not to go and feel their anxiety disappear when they stay home instead. This type of “reward for avoidance” maintains their fear of being judged even though they haven’t experienced anything negative associated with the party. What is most important for people with anxiety is to break the habit of avoidance by gradual exposure to situations that make them nervous. Instead of allowing their anxiety to go away through avoidance and reinforcing this behavior, a therapist might encourage them to try to approach the situation . Someone with social anxiety must learn to stay in the situations they are afraid of so that they can learn that nothing bad is going to happen. Even though a social anxious person will still experience symptoms when they are exposed to a situation, they will learn that by staying there the symptoms eventually subside and they feel okay. The individual can start with less frightening situations and eventually build up to some of their bigger fears the more confidence they are able to build. The great thing about this kind of therapy is that it can teach people with this disorder that they can be empowered and actually confront their fears. The first step in treatment for social anxiety is to make a list of situations that make you feel afraid and create a hierarchy of the most intense to the least. Each situation will probably provoke a different level of anxiety and you can rate them based on how you might react. It can be a good exercise to write down how anxious you think you will be in a certain situation and then gauge that against how you really felt when it happened. Often the symptoms of anxiety aren’t as bad as predicted and this can help boost confidence in going into new and more difficult situations later. By exposing themselves to the things they are afraid of, someone with social anxiety can challenge their beliefs and the anxious thoughts that prevent them from engaging with others. It can be a slow process and actually can be very difficult in the beginning. However it is the best way for someone to minimize their social anxiety and live a more active social life. If you are struggling with social anxiety and want to recover, take the time to seek help from a therapist and ask them about strategies that can help reduce your symptoms.